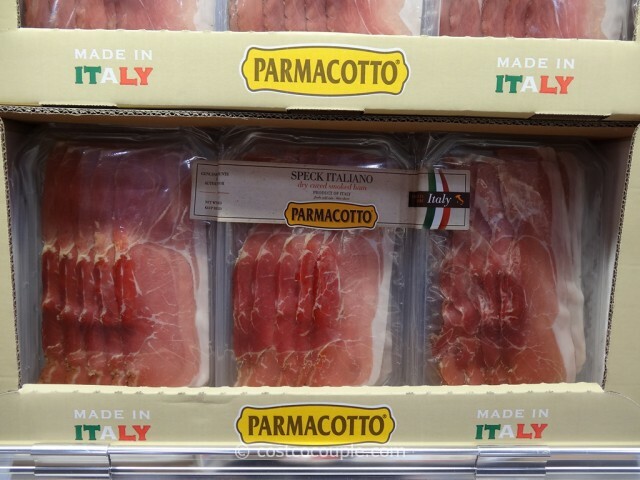 Parmacotto Sliced Speck is thinly sliced cured pork from Parma in Italy. 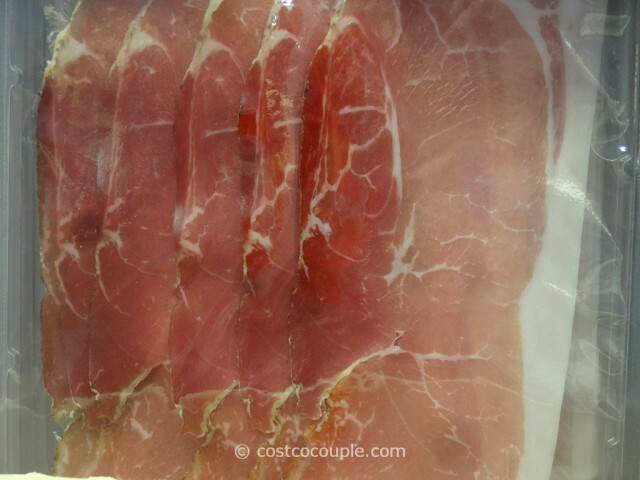 Speck is similar to prosciutto except that it is smoked. Speck and rocket (arugula) may sound foreign to most of us Americans but in Italy, they’re commonly used in salads, pizza and pasta. 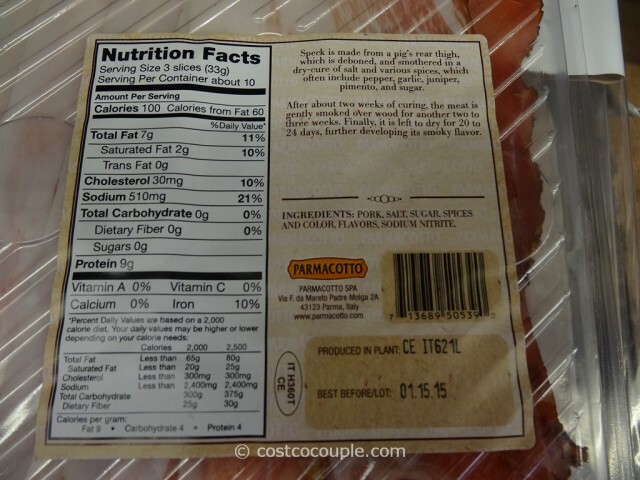 The manufacturer notes that Speck is made from a pig’s rear thigh, which is deboned and cured in salt and spices for 2 weeks. The meat is then smoked over wood for 2-3 weeks, and finally left to dry for another 20 to 24 days to develop its smoky flavor. 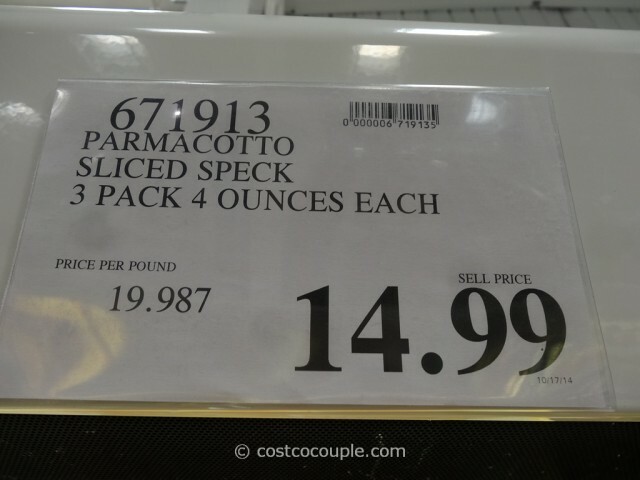 Parmacotto Sliced Speck is priced at $14.99 for 12 ounces. 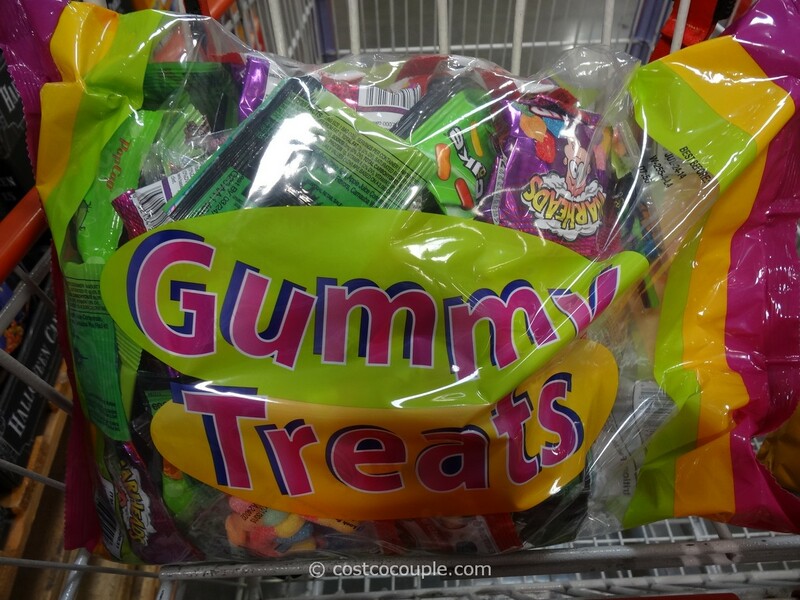 Inventory and pricing at your store will vary and are subject to change at any time. 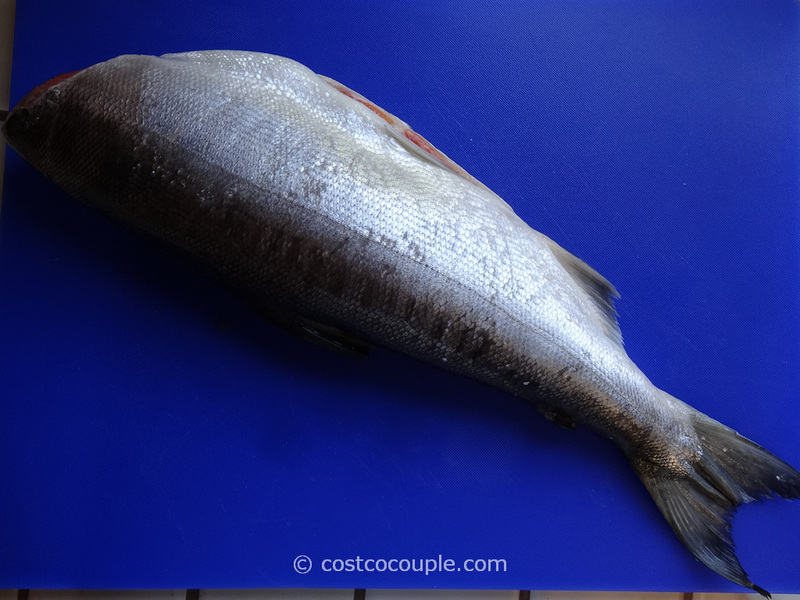 Disclosure: We are NOT affiliated with Costco in any way. We do not work for Costco. We are not paid by Costco. We do not receive free goods or services from Costco. Any mentioned purchases were paid for out of our own pockets. 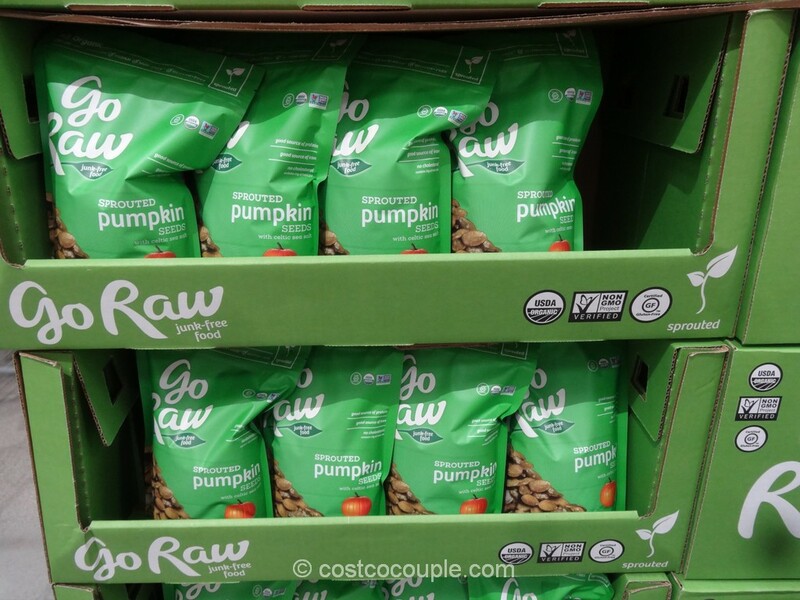 We are not paid to express favorable opinions or otherwise about any product, service or about Costco itself.